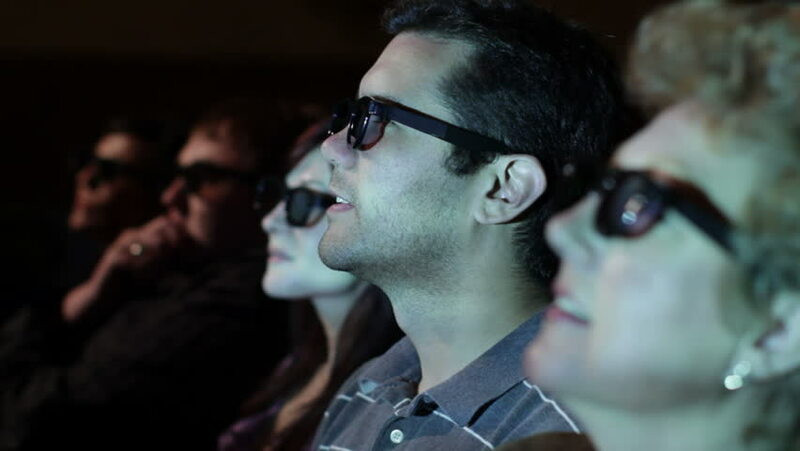 Young man watching a 3D movie with a group of friends. Focus on him with a small dolly move and projections on his face. hd00:23Mature woman applauds as she watches a 3D movie. Focus on her with a small dolly move and projections on her face. hd00:24People walking in centre of Malmö during Malmö Festival. Malmö, Skåne/Sweden. August 2018.